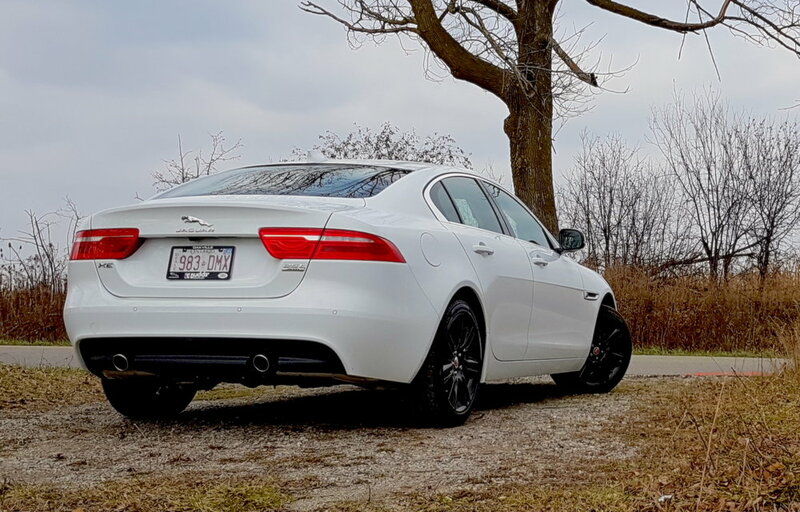 2018 Jaguar XE - Pick of the Sports Sedan Litter — Roving. Jaguar has made quite a name for itself in its nearly 100-year history. Iconic sports cars like the XK-Series, the E-Type, and later the XJ220 have cemented Jaguar’s reputation as a purveyor of style and speed. But Jaguar’s roots run far deeper than that. The company that calls itself Jaguar today was founded in 1922 by Sir William Lyons and William Walmsley as the Swallow Sidecar Company, manufacturer of motorcycle sidecars. Lyons and Walmsley parted ways in 1934, as Lyons formed S.S. Cars Limited. 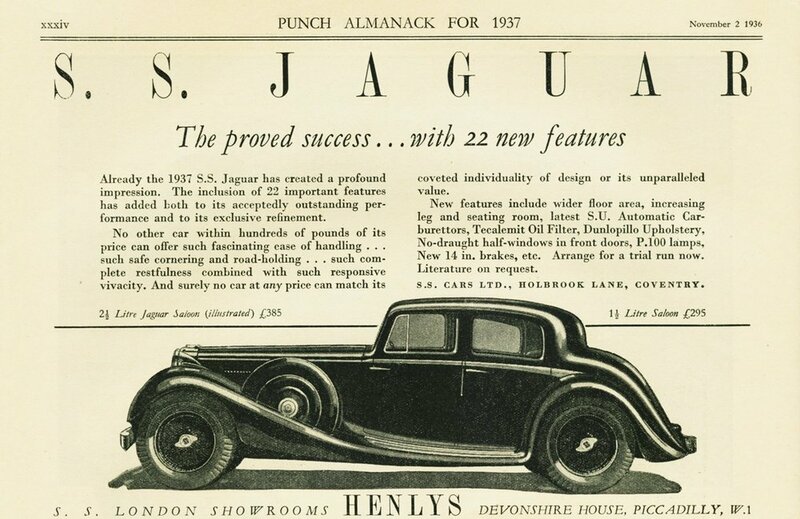 The first model bearing the Jaguar name was the 1935 SS Jaguar 2½-litre sports saloon. That’s right: the first Jaguar was a sports sedan. In March of 1945, the company officially changed its name to Jaguar Cars Limited. Jaguar’s success with sedans over the last 50 years has typically been at the higher end of the spectrum, with models like the MKVII, VIII, and IX, and the XJ-series. Modern attempts at smaller models like the 1999 rear-drive mid-size S-Type (mechanically similar to the Lincoln LS sedan) and the Ford Mondeo-based X-Type of 2001, were crass parts-bin exercises and failed to capture the hearts and minds of enthusiasts. Ford executives learned the hard way that round headlights and reheated retro design cues do not a Jaguar make. The unloved 2001 Jaguar X-Type was a Ford Mondeo underneath. After several mergers, a spinoff, and an acquisition, Jaguar Cars was purchased by Indian automaker Tata Motors from Ford in 2008 along with Land Rover, creating Jaguar Land Rover as we know it today. Tata wisely chose to give Jaguar the funding and freedom to rediscover its essence and under the brilliant design leadership of Ian Callum, have returned to founder Lyons’ mantra of grace, space, and pace. 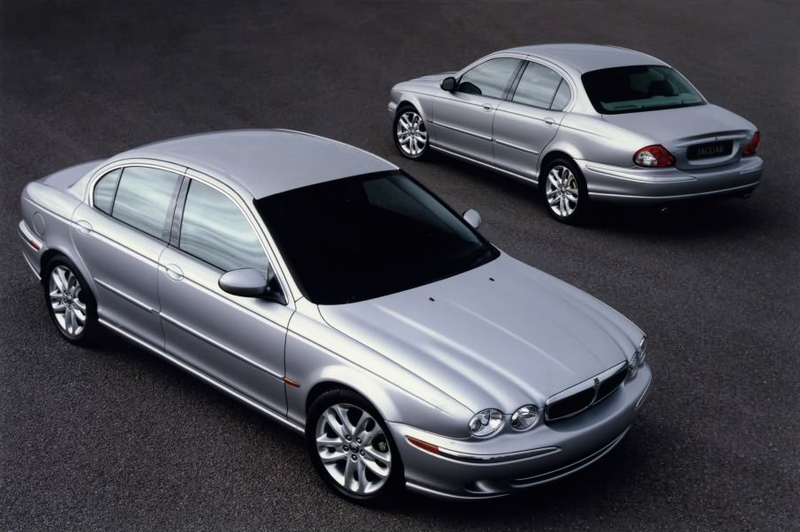 If we forgive and forget the X-Type, it means that Jaguar is really, really late to the compact sports luxury sedan party. Like, thirty-five years late. BMW’s 3-series has been the holy grail of the small performance 4-door since the introduction of the E30 model in 1982. Audi countered with the 80 and 90 in the eighties and nineties, and then revolutionized the category with the sublime B5 A4 for 1996. Mercedes offered the 190 series and later the C-Class, which became a credible threat with the introduction of the W203 model for 2008. Rivals from Japan such as the Infiniti Q50 and Lexus iS have become serious contenders, too. Jaguar has finally arrived at the party with the XE, and it’s made quite an entrance. 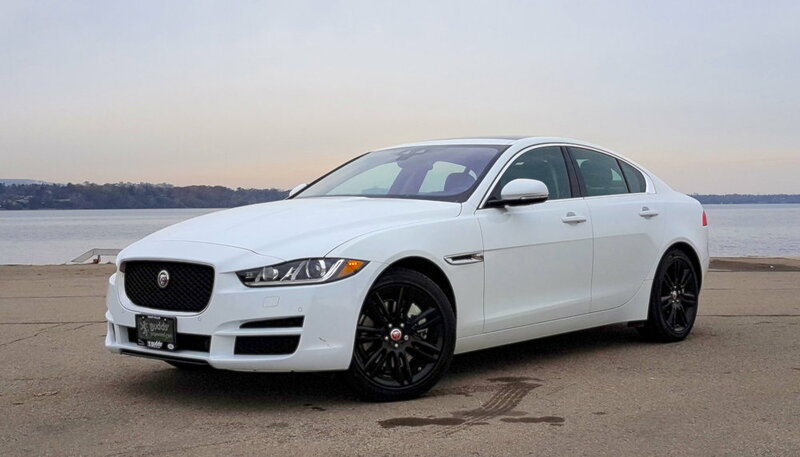 In Canada, Jaguar sells the XE with four different engines, all mated to an 8-speed ZF automatic transmission. Canadian XEs come with standard all-wheel-drive, while Americans can opt for rear-wheel-drive. For this review, I drove a well-optioned Fuji White XE 25t Prestige, as well as the spicy XE S 35t in Firenze Red. I was surprised by just how different they felt, and even more surprised at how hard it was to pick my favourite. Let’s talk about the shared fundamentals first. First, the styling. Good God, it's gorgeous. The XE is another Ian Callum masterpiece, successfully drawing on the new design language introduced with the XJ and XF. It’s not an easy task to take lines from a long car and adapt them to a short car; the stumpy Mercedes CLA and slightly awkward C-Class sedan are proof it can go badly. As for Callum and his team? They nailed it. Some say it looks too much like the XF and for those people I have one question: is it possible to look too much like Charlize Theron? The XE is built around a brand-new, class-exclusive aluminum monocoque chassis which is both stiff and light. The 25t tips the scales at 3395lbs, and the 35t adds another 400 lbs. You can call the suspension Al, too, with its forged aluminum rear integral link to reduce unsprung weight. All that lightness and stiffness pays off with most agreeable ride and handling characteristics. 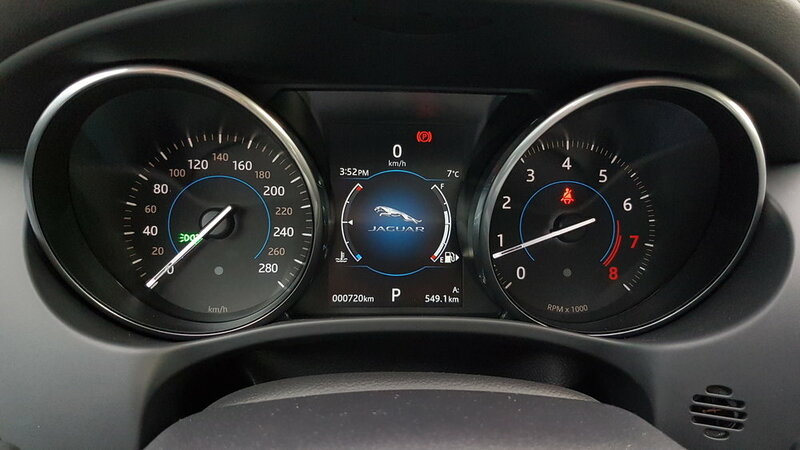 Imperfections in the road surface can be audible, but Jaguar has done a commendable job of tuning the suspension to share just the right amount of information with the driver. The steering is precise, communicative, and predictable with minimal understeer, especially in the lighter four-cylinder car. The interior is good looking and nicely made, but it lacks the charm of the XJ. 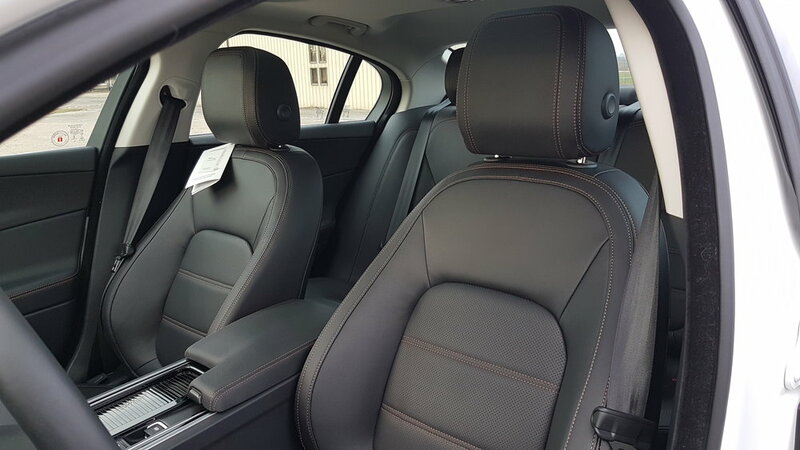 If the exterior looks too much like the other Jag sedans, the interior doesn’t look quite enough like them. The interior of the XJ is hands-down my favourite interior in a production car today. It combines retro glamour and minimalism with luxurious modern execution. The XE borrows some of its design cues from the XJ, like the sweeping cowl trim and three-spoke steering wheel, but the upper dash looks, well, lumpy. I also prefer knobs for climate control functions as in the XJ. 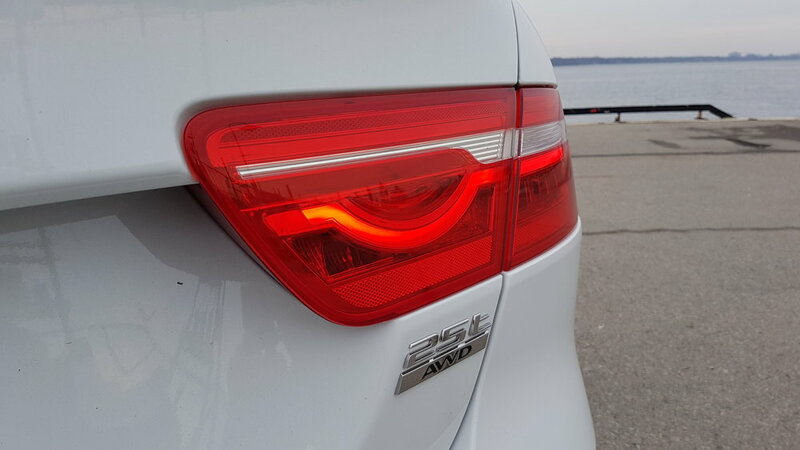 The materials are of commensurate quality, however, and the accent lighting around the start button and volume knob mimics the taillight signature (see below) which is pretty slick. I can agree to disagree with the designers on the look of the interior, but the base infotainment system is objectively problematic. Jaguar and Land Rover’s infotainment systems have been a weak link for as long as they have offered them. Both examples I drove had the lower-spec 8” InControl Touch screen with Navigation, which is essentially the old system with prettier graphics. It’s slow, it’s confusing, and frankly it would be unacceptable in a car costing half as much. There’s a solution, thankfully, in the $3,170 Tech Pack, available on Prestige, R-Sport, Portfolio, and S models, which upgrades to JLR’s latest Navigation Pro and 10.2” InControl Touch Pro Touchscreen. To be clear, this is not an indictment of the car, it’s just a note that the Tech Pack is a must-have. Jaguar Land Rover: I am your biggest fan, but you can’t let a car out of the gate in 2018 with a weak infotainment system at any price when you’re trying to conquer BMW, Mercedes, and Audi! No gesture control on the base InControl Touch system. After trying to zoom and pan the navigation map, you'll come up with a 'gesture' of your own. I was fortunate to get to drive XEs from both ends of the price and performance spectrum. The 25t, shod with 225/45-R18’s, felt light and balanced with almost no understeer thanks to the brake-based torque vectoring system. It was pretty quick, too, with a zero to 100 km/h time of 6.2 seconds, though I wasn’t looking for any stoplight drag races. The Fuji White paint with black wheels and black leather interior was handsome, if not a bit plain. The XE S, on the other hand, was a beast. 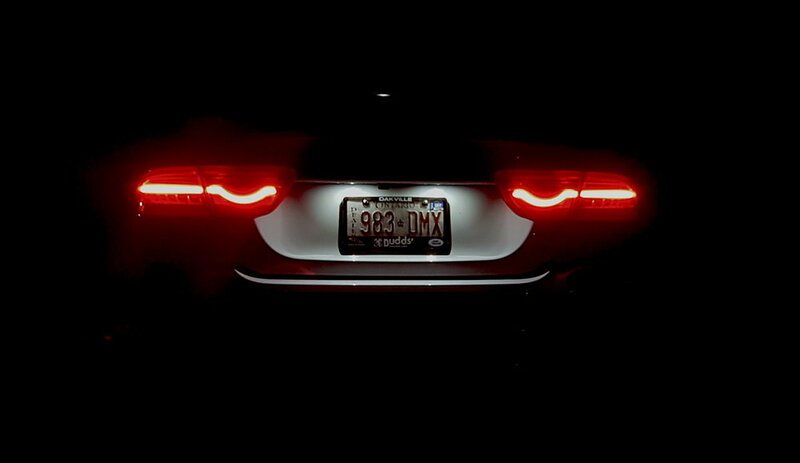 The 380-horsepower heart of the F-Type snarls underhood, turning in a 0-100 time of 5.2 seconds. The extra power is more than enough to offset the added weight of the V6, but the extra weight is the equivalent of having Hafþór Júlíus Björnsson sitting on your front axle. On the street, the larger 20-inch wheels and sizzling red paint made the XE S a real head turner. Watch the video below to see how I’d build my own Jaguar XE. Here's how I'd spec out my own XE. I've owned 2 Audi A4's (1996 and 2007) and a Mercedes-Benz C-Class (2013), so I have a good sense of the history of this segment. The XE is a game-changer. It’s just that good-looking and that good to drive. This newest Jag is proof once again that Tata Motors is doing a fantastic job of letting Jaguar do what it historically does best: building luxurious sports sedans. If you're shopping in this category, you haven't done your homework until you drive this car. Special thanks to Budds' Imported Cars of Oakville, Ontario for providing my test cars.